Back in March, we saw a sneak preview of Ten One Design's slick pressure-sensing touchscreen stylus—code named the Blue Tiger. But the company has finally revealed that the Bluetooth-connected stylus is now officially known as the Pogo Connect and, it will have a couple of new tricks up its sleeve when it becomes available for pre-order on October 1st. Using a technology the company calls a "Crescendo Sensor," the Pogo Connect is the first iPad stylus that can detect hundreds of levels of pressure, letting artists sketch and create in a manner that feels more like using real artistic tools. To pass that pressure info onto apps, the stylus communicates to an iOS device using Bluetooth 4, which unfortunately means it's only compatible with the latest generation iPad and iPhone 4S. And since apps have to be specifically written to take advantage of the extra functionality, Ten One Designs is promising at least 12 different compatible apps at launch, with more on the way. 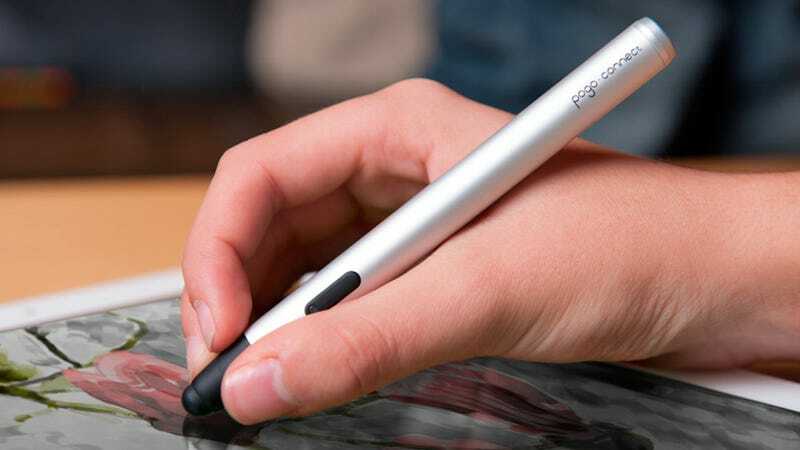 While not as technically sophisticated as Wacom's drawing tablets—which can detect thousands of levels of pressure and the angle of the stylus—the Pogo Connect system has the potential to vastly improve sketching, drawing, and painting on the iPad. While it works, the Blue Tiger can ignore accidental on-screen finger and skin touches on the tablet surface. A status light can change color to indicate connectivity, battery life, and the line color you've selected in an app. Plus, a built-in radio transmitter means locating a misplaced stylus is ridiculously easy, using an on-screen radar-style interface. Handy. The price, pegged at $80, could be just within reach for casual doodlers. Stylus loyalists who want to use their iPads as serious creative tools will probably already have their credit cards in hand.